Happy almost holidays everyone! I just wanted to tell you about a new free paper-piecing block pattern you can download from me over at Sew Mama Sew. The Icicle Star is a great block to adorn a pouch or pillow or as the center of your own medallion quilt, and the download includes 6" and 12" block templates so you can go big or small! Check it out right here! 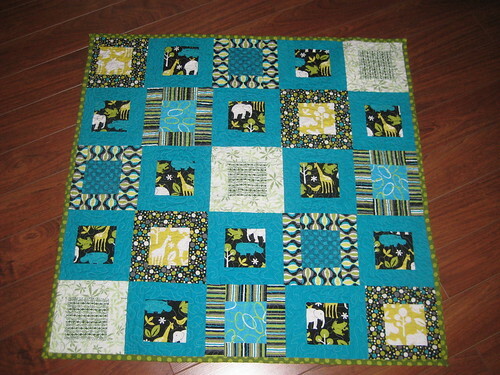 How do you audition your quilting stitches? Speaking of quilting, if you are looking for some new quilting stitches to master this summer, you might want to pop over to Craftsy over the next few days, as they're having a giant summer sale, with big deals on all their classes, including Angela Walters's latest class, Little Changes Big Variety. Have a great day! Guest posting at Sew Mama Sew today! I'm super excited to tell you that I'm going to sharing over the next few months at Sew Mama Sew - it was one of the first blogs I ever guest posted on several years ago, and I love how much information they've cultivated there over the years! I'm posting the first in a series of posts about free-motion quilting over there today, Top 10 Tips for Beginning Free-Motion Quilters. If free-motion quilting has gotten the best of you in the past or if it's been something you've been hesitant to try, check out my tips for getting started on the right foot, and remember that your attitude will make or break your early experiences with free-motion quilting. When I first started free-motion quilting, I didn't know I was supposed to be scared of it, so I just went for it and did it. It wasn't perfect, and I knew it, but I didn't let that get to me. I focused on having fun with it, and over time, with lots of practice, my stitches got better and better. And yours can too! You can check out my top tips right here, and if you want more free-motion tips, tricks, and examples, check out my Craftsy class and save $15 on your class registration right here - Start Free-Motion Quilting! If you're more of a fan of walking foot quilting, you can also check out Jacquie Gering's new Craftsy class, Creative Quilting with Your Walking Foot, which is just fantastic. Have a super day! Guest posting today at Stitch This! Good morning and happy Tuesday to you! This morning, you'll find me guest posting and sharing loads of pictures (which are totally pin-able, hint hint!) 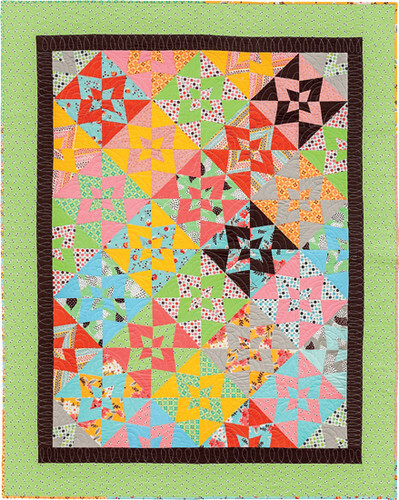 from my new book, Becoming a Confident Quilter at Martingale's blog, Stitch This. I'm also sharing the story behind my first experience with foundation paper piecing, as well as the story behind the foundation paper pieced quilt in my book, Wham. Pop on over and check it out - you could win a copy of my book!